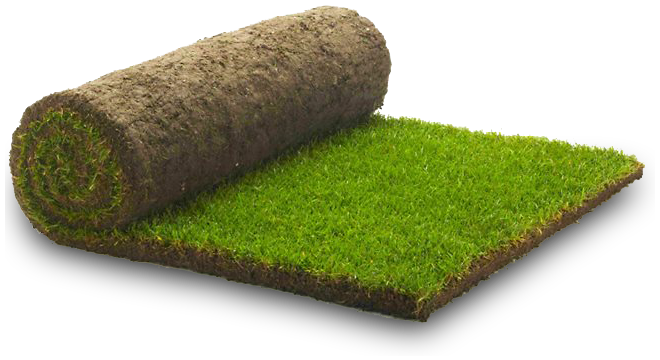 Turf comes in rolls and is very easily laid. You will require wooden planks and a half-moon spade or sharp knife to complete the overall job. Turf should be laid within 24 hours of arrival for optimum results. Start at the straightest edge and roll the turf out. It should be tapped down firmly ensuring good contact is made with the soil. Lay the neighbouring roll next to the existing turf ensuring there are no gaps. Joints of the turf roll should be staggered as you would find in brickwork. Planks of wood should be laid down on areas where you are working or walking on the turf, compacting as you go. Edges can be trimmed using a half moon spade or sharp knife. It is essential that your lawn receives a good soak once its laid. You should water your new turf well at least twice a day until the root system is established. 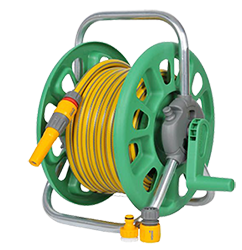 The best way is to use a sprinkler or hose system. Any signs of gaps or brown edges would indicate that your lawn is not receiving enough water. Depending on what time of year your lawn is laid will dictate how much watering is required. In dry weather, frequent watering may be necessary to keep the new turf constantly moist. During dry periods in mid- to late summer, an established lawn should be watered every 3 to 5 days. Be careful not to over-water, as this can lead to shallow rooting and encourages the weed grass, annual meadow grass. In winter it may not require any watering. You should avoid walking on newly laid turf until it has become established. Mow, with the blades set high, as soon as the grass has grown to about 5cm (2in) and work to a closer setting as your lawn matures.